The goal was to create a series of simple scenes through which I could experiment with C4D's dynamics settings. I then rendered these sequences to get a sense of the movement generated by various forces within C4D. Initially, using keyframes, I set up a golden orbited atom as a comparison to the movement generated by Cinema's dynamics. Then, using rigid bodies, an emitter and basic gravity in C4D, I experimented with some simple falling pills. 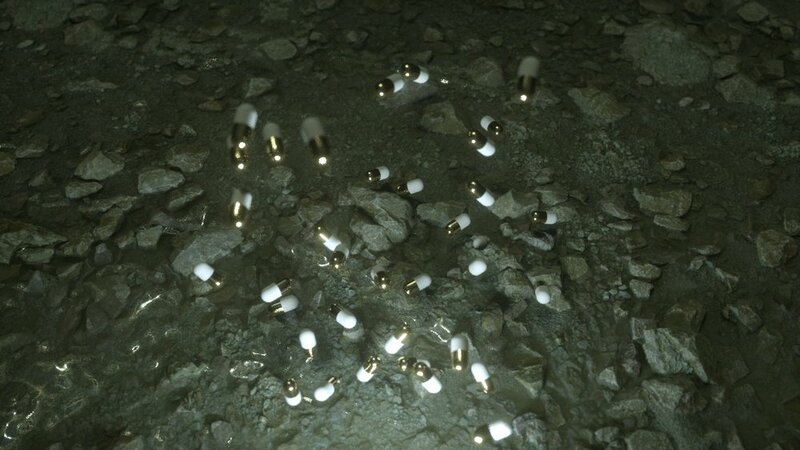 Though the collider tag on the floor allowed for the pills to bounce back up, there was some clipping with the rocky surface texture. The floor was created using RDT's (I highly recommend checking out RD-textures.com). Using Octane made the work flow on this fast and responsive. The live viewer allows for the focus on this project to be more on the creative and explorative aspect of 3D work. 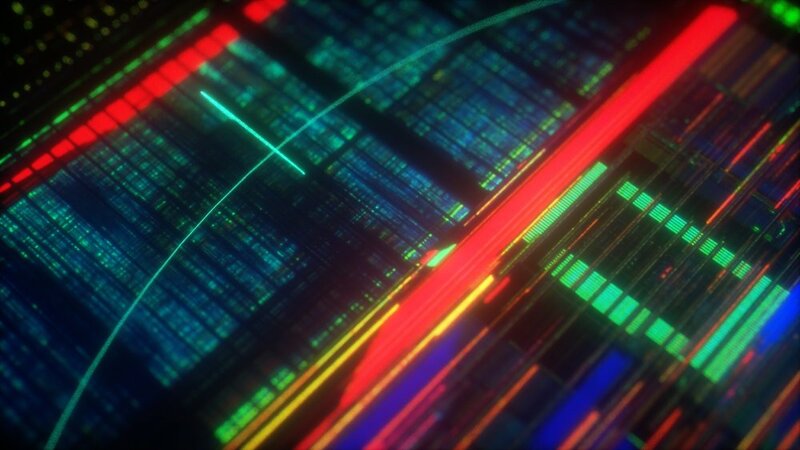 Next, I decided to design a simple scene and introduce a C4D dynamic's 'force' which acts initially as an attractor. Keeping a similar camera movement and dark metallic palette, I really liked how the camera rotation worked in conjunction with the spinning gravatational attraction of the orbs. The dynamic interaction of the spheres as they were given 'gravitational pulls' respective to their sizes makes for an animation that would be laborious to manually keyframe. The same was true when using an emitter, cloner with dynamics, which allowed the computer to do most of the work while I focused on the creative side of the process which is my preferred approach. Lastly, I added a soft atmosphere to this scene, using the environment object medium tag along with some camera post processing in Octane which gives a nice haze to the renders as you see here. These last renders were made using a technique created by Rhett Dashwood. His videos helped me make these renders and understand how to utilise octane scatter. If he ever reads this, thanks! Starting this project I had a general understanding of octane dynamics, but I hadn't experimented with soft body dynamics yet. The soft body tag remakes an object malleable and exaggerates the forces at work in the scene. I also learnt about 'baking' an animation while following the tutorial. 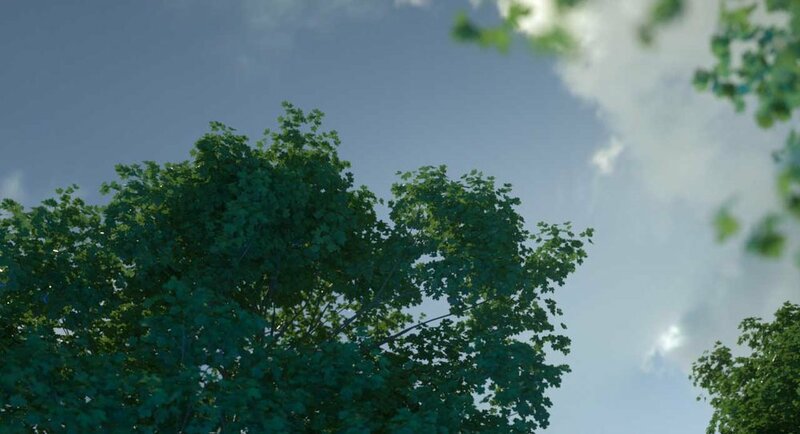 This takes the stress off of the computer when texturing and lighting because it doesn't have to continually recalculate whatever simulation is happening. On top of this the simple way in which you can texture across multiple objects is something which I had not considered before. I simplified my process during this project allowing scene construction, texturing, lighting, and animating to happen organically as the direct feedback of real time rendering allows for a more fluid workflow.